1. Many Rwandans, like many Africans, have a perception of time that is different from westerners and tend to be late. “African time” is not just a stereotype; it’s based on reality. However, drivers here always seem to be in such an incredible rush that they can’t stop for pedestrians and in fact often pull out of parking spots while pedestrians are right behind them. Drivers gun the engine even when they are approaching a traffic light, pass each other all the time – no matter how treacherous the turn, and generally speed like NASCAR racers. 2. During the rainy season, household water is less reliable. In fact, whenever it rains heavily there’s a pretty high chance that the pipes will be empty. After months of bewildered frustration, a friend told me that it’s because the heavy rains wash mud into the pipes, clogging them. 3. As I mentioned in my post about culture, it is a serious taboo to eat in public. However, public urination (for men) and nose picking are not taboos at all. It’s hard to go a few days without spotting someone digging for gold or a man peeing in bushes in public sight…Hence the importance of Purell. 5. It is not typical for men to give flowers to women. In fact it is more appropriate for women to give flowers to men. Go figure. 6. 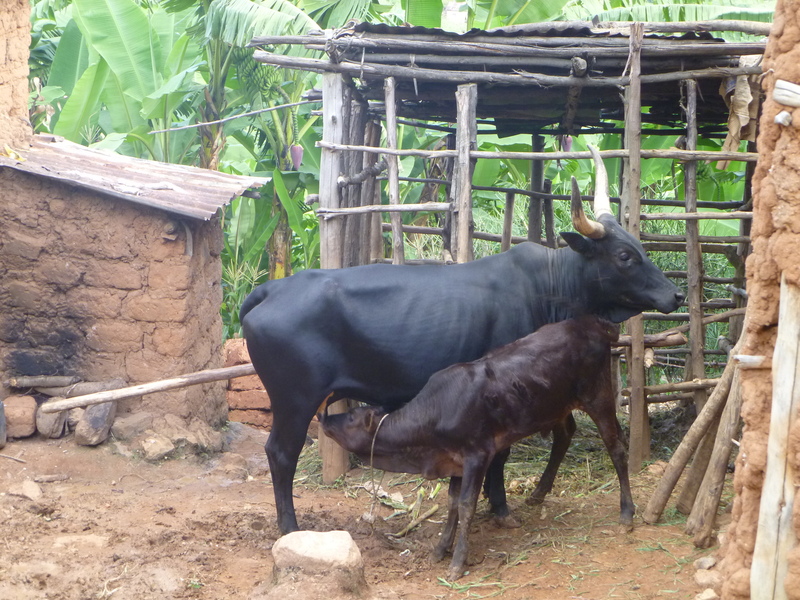 Cows play an important role in Rwandans society, having influenced the development of different social classes based on the number of cows one owns. Milk is abundant and delicious here. However, there is a serious lack of variety in cheese options and very few good cheeses. 7. Rwanda is known for growing delicious coffee, yet most people drink Nescafe. This is because most coffee is exported and the remainder is served at expensive cafes or sold at a premium at grocery stores. 8. 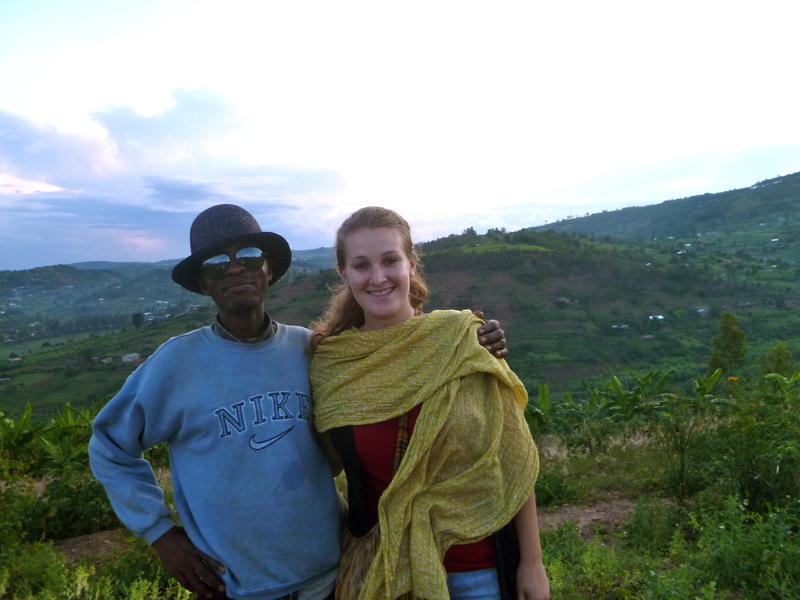 Rwandan men and women alike are notoriously soft spoken. I often have to strain to hear people when they come to my office and whisper a message to me. However, there is no concept of “noise pollution” when it comes to other sounds: music and radio are blasted at painfully loud levels at any hour of the day – in public, at home, on buses, in shops, etc. I guess people need something to fill the silence. 9. Most Rwandans don’t eat sweets or dessert and say that they don’t like sugar. However, based on my observations, Rwandans put on average 3 heaping teaspoons into their morning tea and drink Fanta and other sodas to diabetes-inducing levels. 10. People in Kigali, both Rwandans and expats, consider the poorer neighborhood of Nyamirambo as unsafe. In reality, I think it is the safest neighborhood because there are always people on the street at any time of the day or night. I actually find Kiyovu, one of the wealthier neighborhoods, to be the least safe because the streets are empty and people are always behind their walls and cars. If someone tried to mug me on the street in Kiyovu he would definitely succeed; however if someone tried to mug me on the street in Nyamirambo he would be apprehended and beaten up by more than one passerby. As I’ve mentioned before, Rwanda is quite a forward-thinking country – mainly thanks to the propulsion of its visionary leader. In 2009, the Ministry of Infrastructure and the Kigali City leadership unveiled the Kigali Conceptual Master Plan, “the framework on which the development of Kigali City shall be based for the next 30-50 years.” It is most definitely a long range and ambitious plan, envisioning the future of Kigali as some kind of a cross between Miami, Singapore, and Geneva. The plan is focused around transforming the CBD, Central Business District, of Kigali into a world-class hub of investment, attractions, beauty, and wealth. I have to commend the planners on quite a masterpiece. Needless to say, it’s an extremely, if not absurdly, ambitious vision. A question that comes to mind is – what about the rest of Rwanda? Something encouraging is that here on the ground in Kigali I can actually point out several construction sites that follow the plan on the video, in particular the Kigali City Tower and roads being paved below the main roundabout. It’s an audacious plan for sure, but given the incredible progress Rwanda has made in the past fifteen years I don’t think it’s impossible fifty years down the road. Living in the city of Kigali, it’s easy to forget that 90% of Rwanda’s population is involved in (mainly subsistence) agriculture. 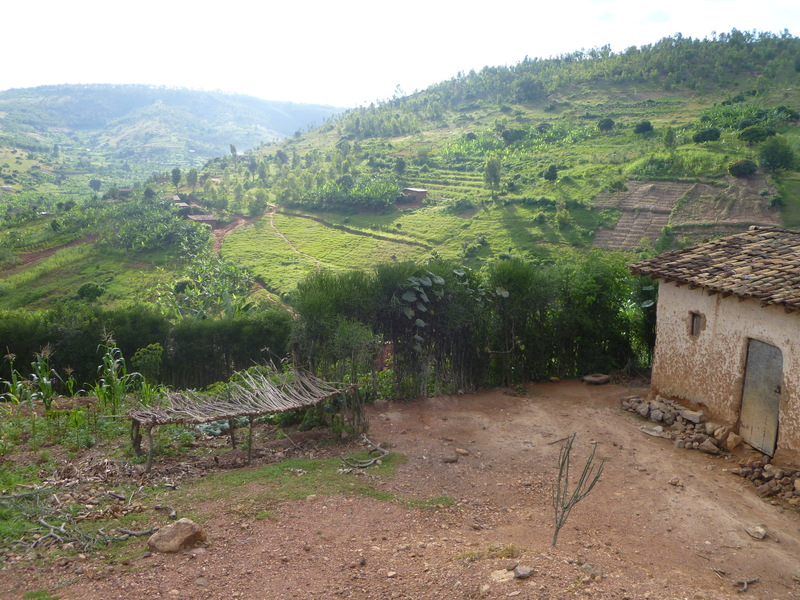 Rwanda is, after all, a primarily rural country and agriculture is its dominant economic activity. According to Rwanda’s Ministry of Agriculture and Animal Resources (MINAGRI), Rwanda also happens to be the most densely populated country in Africa with 300 people per square kilometer (and up to 600 people per square kilometer of arable land). The country’s main agricultural products include coffee, tea, bananas, beans, sorghum, potatoes, and livestock; however, only coffee and tea are exported. 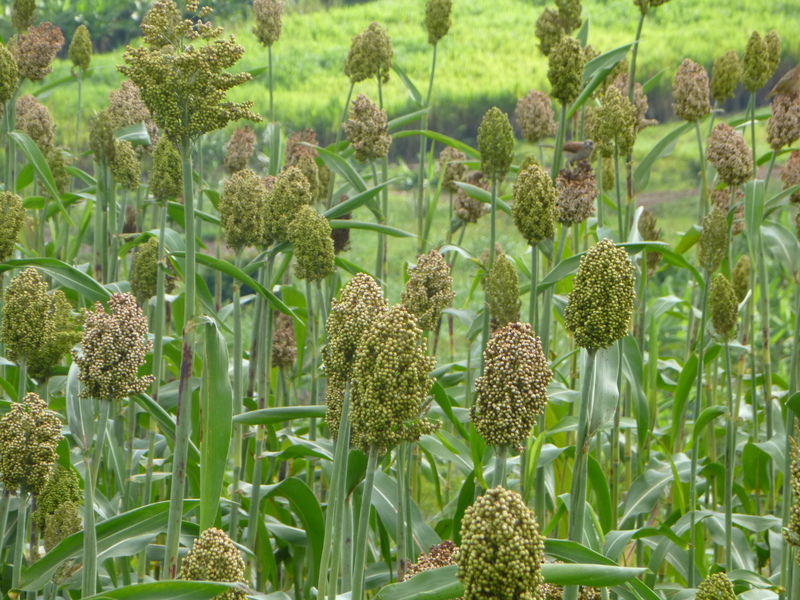 According to the CIA World Factbook, agricultural production has increased significantly over the last three years and as of 2010, Rwanda was self-sufficient in food production. 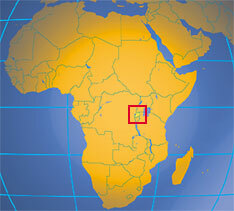 (Prior to 2010, Rwanda depended on food imports to close the gap between production and demand.) In 2008, minerals overtook coffee and tea as Rwanda’s primary export. Last weekend, I had the chance to get out of the city and accompany a friend to his fields on the outskirts of Gitarama, a small city just south of Kigali. 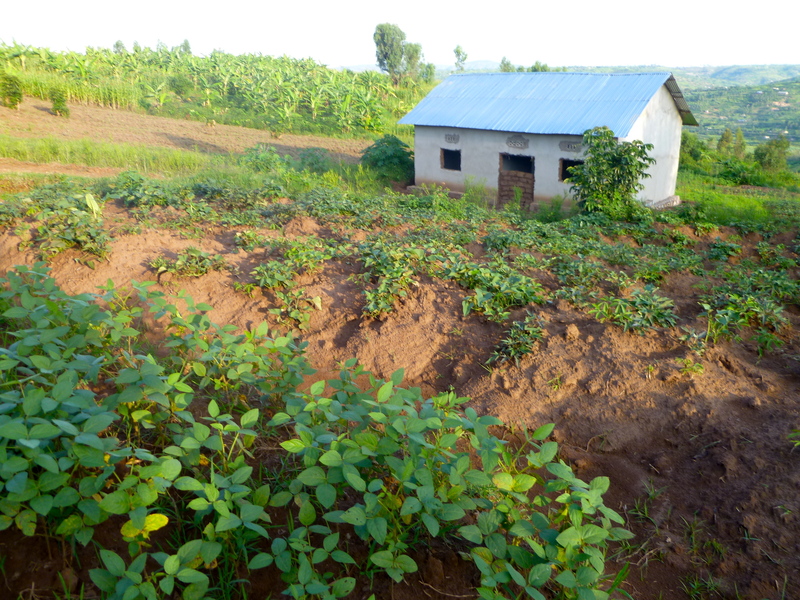 Etienne, a man who sells vegetables to my office every week, had invited me to come see his fields just south of Kigali and even help cultivate a bit. 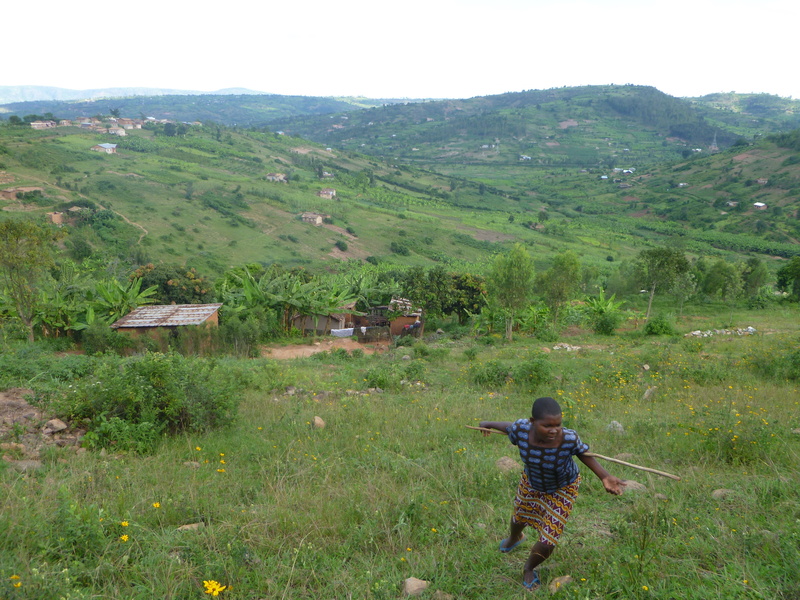 The two of us set off with his brother, who also cultivates his own fields and sells his produce around Kigali. I learned that the two brothers actually supply produce for one of the best grocery stores in town, a German butchery called La Galette. 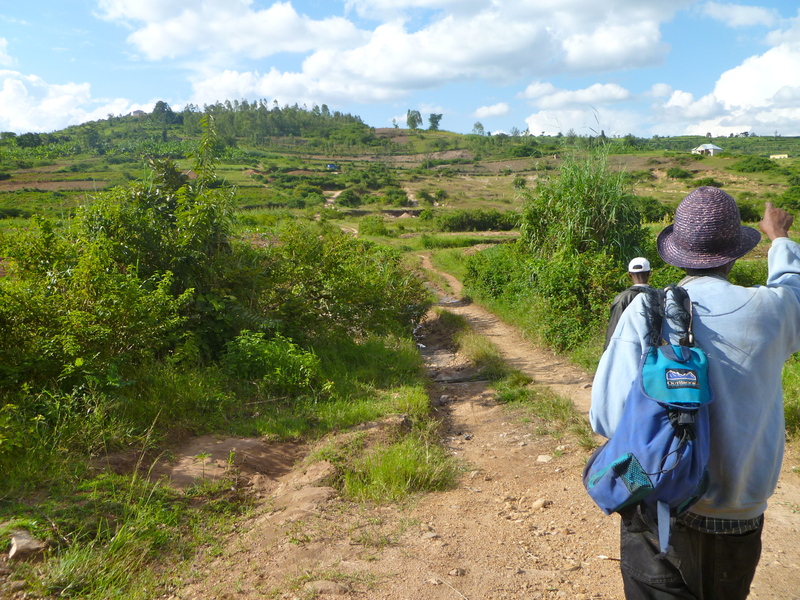 After a 20-minute bus ride from Kigali, we got off along a road meandering through lush mountains and valleys and set out walking through fields and hills. Along the way, Etienne and his brother, Jean Damascene, took me on a tour of their fields, which were spaced out over several miles and different hills. 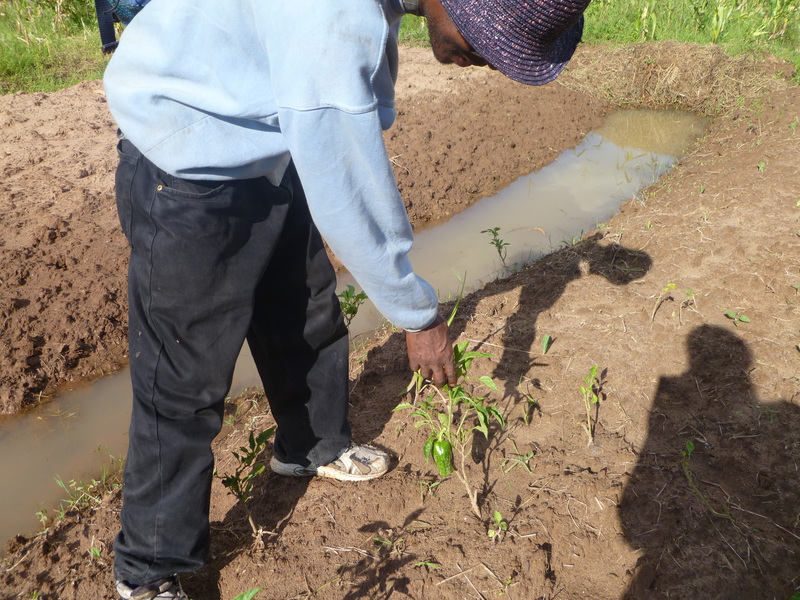 Etienne and Jean Damascene grow a wide variety of produce, including peppers, eggplant, sweet and regular potatoes, tomatoes, onions, avocado, passion fruit, oranges, peanuts, bananas, green bananas, cucumbers, corn, sorghum, cassava, watermelon, pineapple, garlic, and coffee. I’ve bought the final product several times and it’s incredible how succulent and fragrant the green peppers here are. After about a 45-minute walk to the hills, we started hiking up and came upon some houses in a clearing. 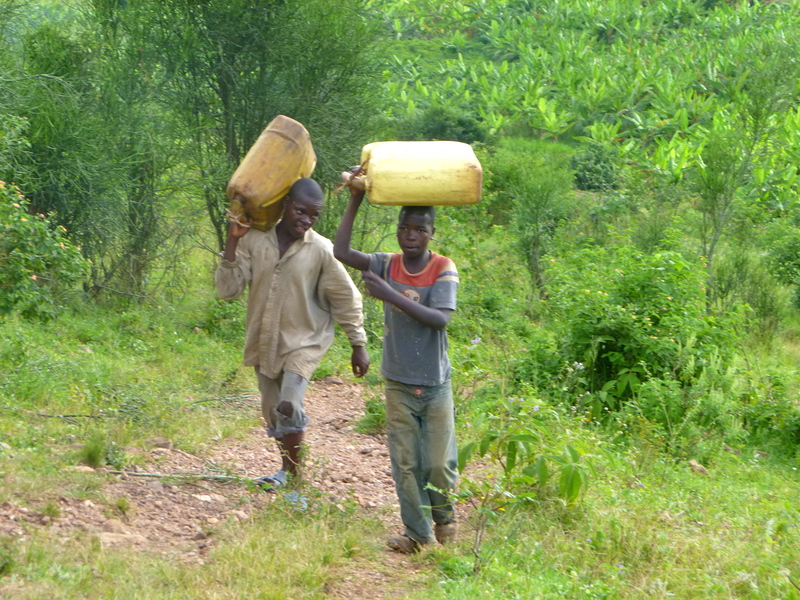 Along came two boys carrying jerry cans full of locally-produced banana beer. Each 2.5-gallon container of beer costs about $8 (5,000 Rwf). That comes out to a price of about 53 cents for 1 liter. 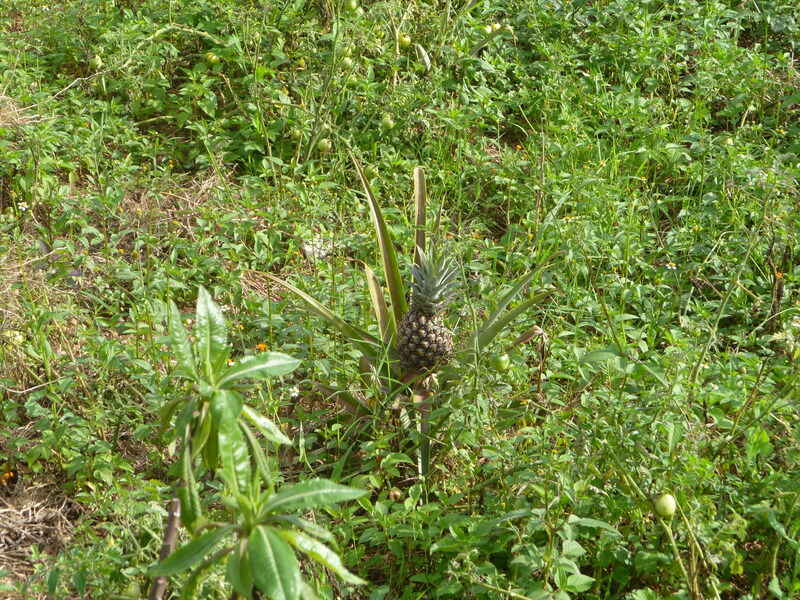 We wound our way up the hills and continued to find more plots of Etienne’s fruit and vegetables scattered about. Along the way, I helped pick some eggplants and corn, which Etienne let me take home as a gift. After another 45 minutes of hiking, we arrived at Etienne’s prized watermelon patch. 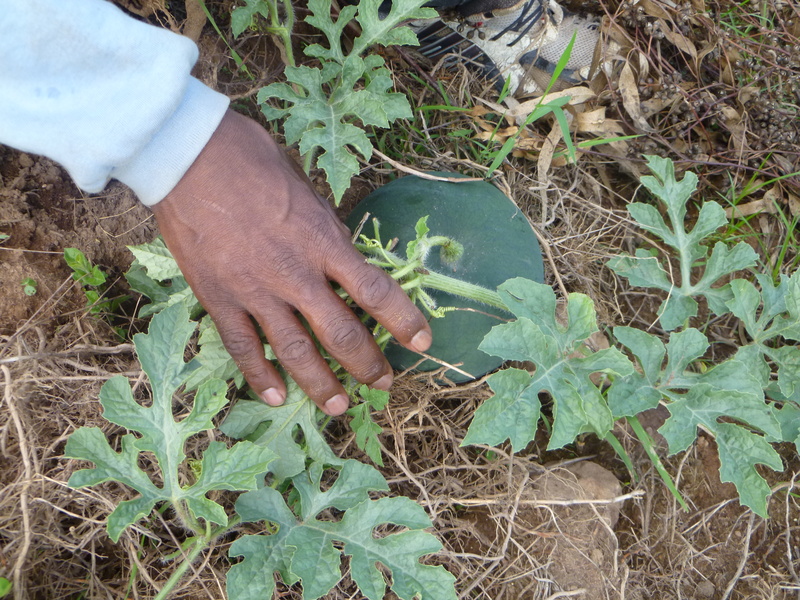 Yielding about $3.30 per piece, watermelons are Etienne’s most profitable item. 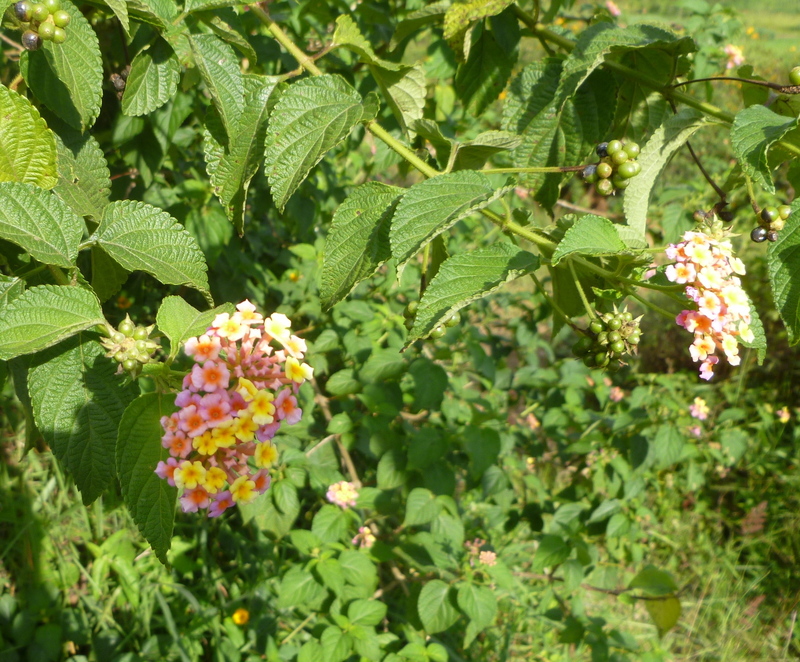 He currently produces about 500 per season and is planning to expand his fields next year. I asked Etienne how he manages to cultivate so many fields spread across miles of land. He told me that he hires people to help him so that even when he is away in Kigali people back in Gitarama oversee his fields. When I asked Etienne if he enjoys farming, he replied enthusiastically in the affirmative. He explained to me that his parents and grandparents were farmers on this very land and he has been farming since he was a very young boy. He’s proud of being a farmer and of producing high-quality (and deliciously organic!) produce for people around Gitarama and Kigali.